Legal reforms are a key platform for President Xi Jinping‘s government to restore popular faith in the Party and judicial system amid simmering public discontent over miscarriages of justice often caused by officials‘ abuse of power. China must “improve the requirements for appointing justices and prosecutors while upholding the principles of leading party officials and respecting the rule of justice”, an unnamed official in the top office in charge of judicial reforms told the official Xinhua news agency. It did not say when the pilot programs would be launched. To limit interference by local governments, provincial governments will pick judges and prosecutors and fix the budgets of local courts and procuratorates, Xinhua reported. The system currently gives local governments greater sway in appointments. Panels of legal specialists at the provincial level will nominate judges and prosecutors, but the Party must still approve their appointments. The reforms must “uphold the Party’s leadership,” the official said, signaling a willingness by the central leadership to improve its courts as long as the Party’s overall control is not threatened. Critics have described the leadership’s call for greater independence for courts as a hollow gesture, because judges ultimately answer to the Party. via China aims to revamp justice system but Communist Party to retain control | Reuters. WSJ: “Many China watchers see the trial of Communist Party insider Bo Xilai as scripted and staged, unveiling flaws of a closed Chinese judicial system. Yet amid the criticism, some are seeing positive signs emerge from Jinan, the northeastern Chinese city in Shandong province where Mr. Bo is facing corruption charges, including allegations that he took bribes with the aid of his wife. Despite the degree of supervision provided for the trial, there are nevertheless grounds for opening up the administration of justice to the supervision of the people. We’ve seen that in China there are many cases and trials that are not open, that attendance is constrained. Yet leaders have shown that they are willing to open up this case—to a certain extent—to the media, creating the perception that they are moving toward creating a more accessible judicial system. 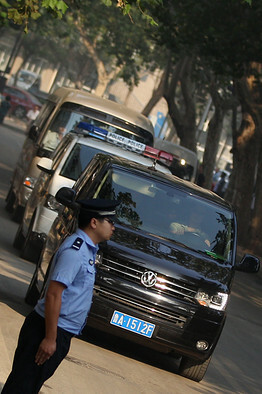 via In Bo Xilai Trial, Some See Positive Signs for Legal System – China Real Time Report – WSJ. SCMP: “One of China’s most senior judges has called for an end to miscarriages of justice by the nation’s courts after two cases of wrongful convictions have highlighted inadequacies in its legal system. “If more of these wrongful criminal convictions appear, they will become an unprecedented challenge to the People’s Courts,” Shen Deyong, the executive vice-president of the Supreme People’s Court, wrote in the People’s Court Daily on Monday. The paper is the court’s official mouthpiece. Criminal trials in China had a conviction rate of 99.9 per cent in 2009, according to the latest China Law Yearbook. In recent months, several murder cases have raised public ire against the judicial system. Zhejiang’s provincial supreme court on March 26 overturned a decade-old death sentence with two-year reprieve and a 15-year prison sentence for two men convicted on murder charges for killing a woman in Hangzhou. Caixin in April reported on the ordeal of a farmer wrongfully sentenced to death with reprieve in 2008 in Zhecheng, Henan province. 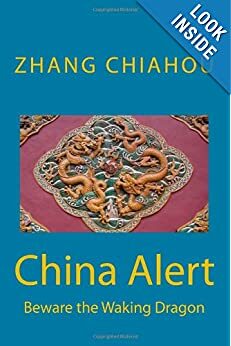 Also in Zhecheng, convicted murderer Zhao Zuohai gained prominence in 2010, when his purported victim returned to the village and Zhao’s death sentence had to be overturned. via Supreme People’s Court judge urges end to wrongful convictions | South China Morning Post. Reform in China continues apace. China Daily: “The Chinese government issued Tuesday a white paper on judicial reform, highlighting the progress that has been made in safeguarding justice and protecting human rights. The white paper was issued by the Information Office of the State Council. Apart from reviewing China’s judicial system and reform process, the white paper focuses maintaining social fairness, justice and human rights protections. “China’s judicial reforms are aimed at strengthening judicial organs’ capability to maintain social justice by optimizing the structure of the judicial organs and the allocation of their functions and power, standardizing judicial acts, improving judicial proceedings and enhancing judicial democracy and legal supervision,” it says. In terms of protecting human rights, effective measures are being taken to deter and prohibit the obtainment of confessions through torture, better protect the rights of criminal suspects and defendants and protect attorneys’ rights to exercise their duties. Measures are also being taken to strictly control and prudently apply the death penalty. Jiang Wei, a senior official in charge of the judicial system reform, said Tuesday at a press conference that China’s judicial system would be based on its reality, instead of simply copy from other countries. A populous developing country, China still has problems in its judicial system, Jiang said. The country’s economic and social development does not match the people’s increasing expectations for social justice. Capabilities of the judicial system do not meet the demand for judicial service, he said. Imbalanced development in different regions also contributed to the existing problems, he added. 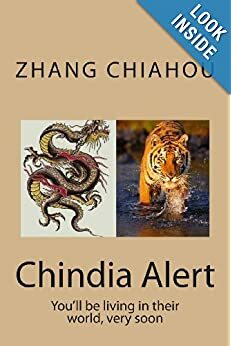 “The problems can only be solved by the Chinese way and the wisdom. Copying foreign experience or systems might lead to a bad end,” he said, in response to a question whether China’s judicial system should follow Western models. However, he said, China is keen to learn from experience of other countries and will try to incorporate judicial concepts and practices utilized elsewhere. via China issues white paper on judicial reform |Politics |chinadaily.com.cn. BBC News: “Gu Kailai has admitted murdering British businessman Neil Heywood and blamed her actions on a mental breakdown, Chinese state media report. The state news agency Xinhua said the wife of former top politician Bo Xilai had apologised for what she described as the “tragedy” of Mr Heywood’s death. She said she would “accept and calmly face any sentence”, the agency added. Ms Gu was accused of poisoning Mr Heywood with cyanide last November, at her one-day trial on Thursday. via BBC News – Bo Xilai scandal: Gu ‘admits Neil Heywood murder’. BBC News: “The first day of the trial of the wife of former high-flying Chinese lawmaker Bo Xilai on charges of murdering UK businessman Neil Heywood has ended. Gu Kailai is accused of poisoning Mr Heywood in 2011 in Chongqing, where her husband was the Communist party head. He was sacked in March and is currently under investigation for unspecified “disciplinary violations”. via BBC News – Bo Xilai scandal: Gu Kailai on trial for Neil Heywood death. WSJ: “Liu Minghui’s battle to clear his name and save his business, a fight that pitted him against some of the most powerful forces in China, began the day of his company’s Christmas party in 2010. Mr. Liu was set to leave his 18th-floor office in Shenzhen to cross the nearby border to Hong Kong for the party when plainclothes Public Security Bureau officers arrested him on suspicion of stealing money from the company he ran and co-founded, China Gas Holdings Ltd. The former managing director spent nearly the next year in a Chinese jail, during which time he was forced to leave his executive and board roles at the company while remaining a substantial shareholder. He emerged from detention in time to see one of the country’s biggest companies launch a hostile offer for China Gas, the first by a state-owned business against a privately controlled company. Now Mr. Liu’s comeback is nearly complete. 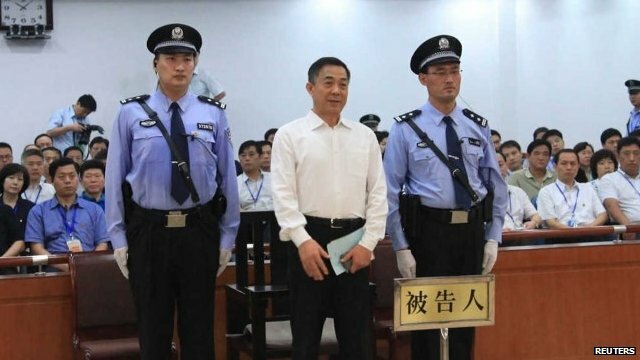 He has been exonerated in the embezzlement case and is poised to win his fight with state-owned energy giant China Petroleum & Chemical Corp., or Sinopec, and its partner, ENN Energy Holdings Ltd. The bidding consortium on Monday extended the deadline for the US$2.15 billion offer until early September, saying the bid is still waiting regulatory approval. But with the stock trading at a 22% premium to the offer price of 3.50 Hong Kong dollars a share, the group seems unlikely to attract the shareholder support needed to take control. via In China’s Power Nexus, a Tale of Redemption; Sinpec, China Gas, Liu Menghui – WSJ.com.